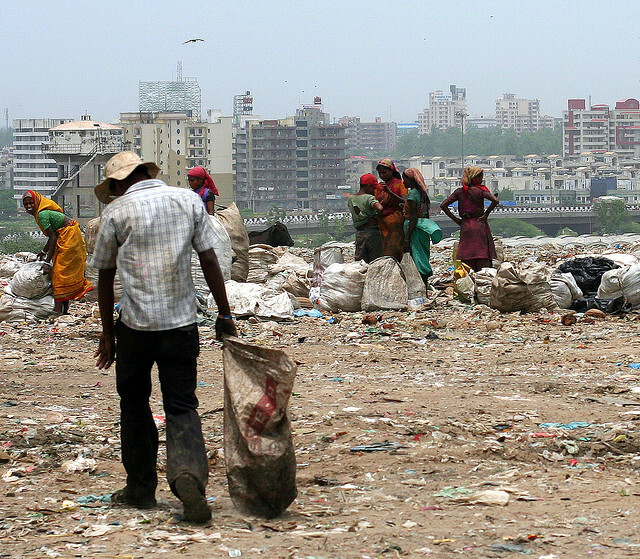 Waste pickers collecting waste in Delhi landfill. Photo by Mackenzie Berg. Image not for republication.